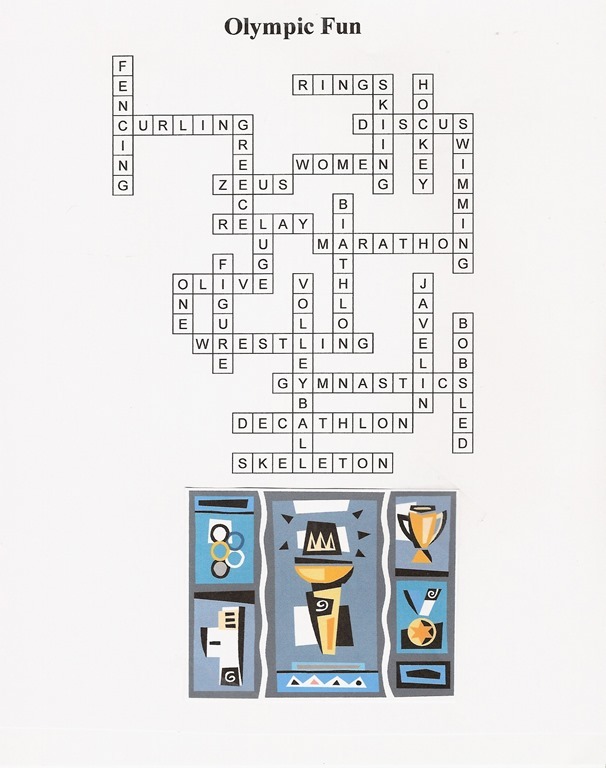 I’m always looking for an excuse to have a party and the Olympics is great excuse! I really didn’t come up with the idea until Friday morning (our weekly pizza and game night) so I had to do things fast! The Sochi mascots are soooo cute. 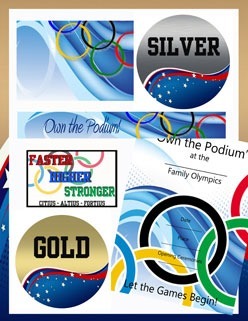 I found a great site with these printouts that I used for decorating. This site is great because they give you the option of printing them in color or black and white. My granddaughter spent a significant time coloring her own mascots to take home. 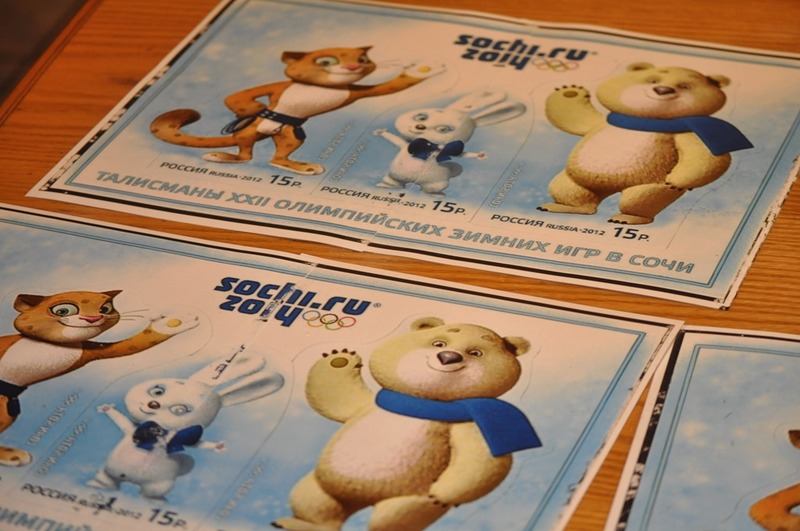 Follow the link below to print out your Sochi mascots. 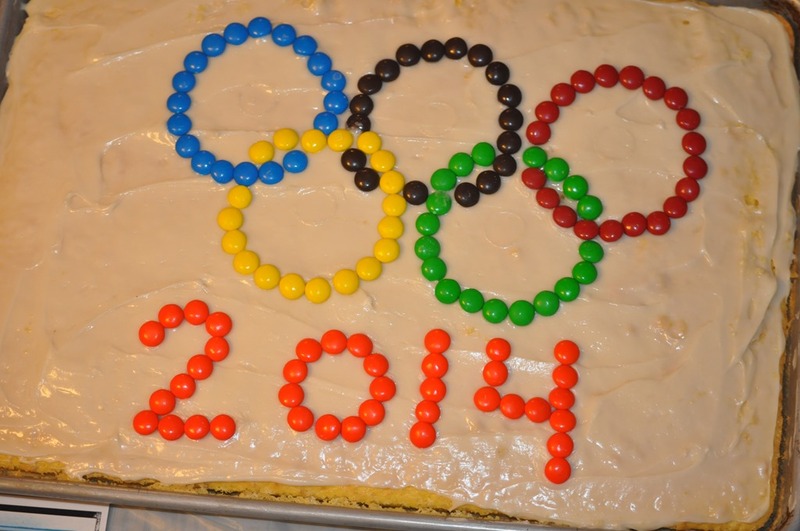 This Olympic rings cake is super simple. I originally wanted to use fruit to make the rings but most of the fruit I needed to use was $5.00 for a small container so I opted for a less healthy option and went with M&Ms. Use a glass or a round cookie cutter to mark where the rings should go before placing your candies. I also made placemats for each of the grandkids. 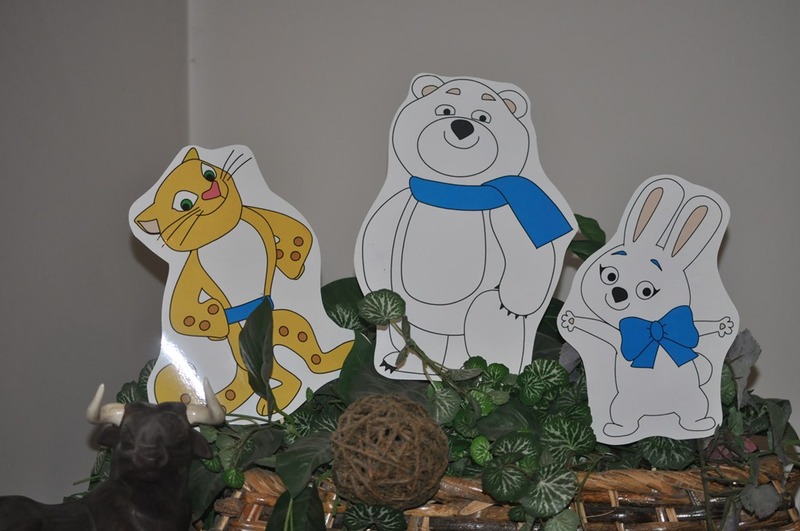 I just printed this cute picture of the mascots on two pieces of 8 1/2 by 11 sheets of paper. There are many complicated ways to do this but the way I do it is so simple! First make your image as large as possible on your in the “portrait” layout. Some of the picture will be pulled off the page- that’s what it’s supposed to do. Print this half of your picture. 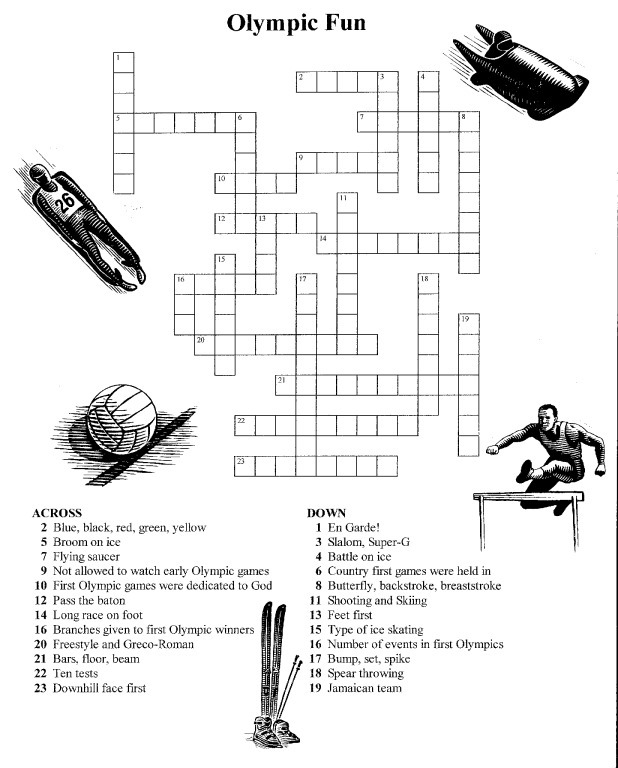 Then carefully drag the portion of your picture that was cut off back onto the paper and print it off. Match the two halves together, cut off the white area on the inside edge, overlap until the picture matches up perfectly, tape together and then laminate. Follow this link for the picture I used to make my placemats. The idea behind this drink is choosing 3 drinks with varying sugar content and layering the drinks with the highest sugar on the bottom working up to the no-sugar drink on top. 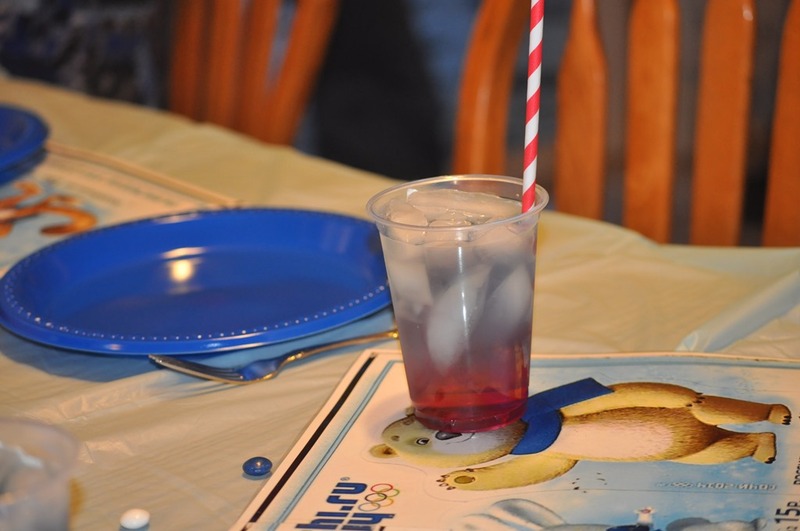 We used cranberry juice for the bottom layer, blue Gatorade for the middle layer and Sprite Zero with 0 grams sugar for the top layer. 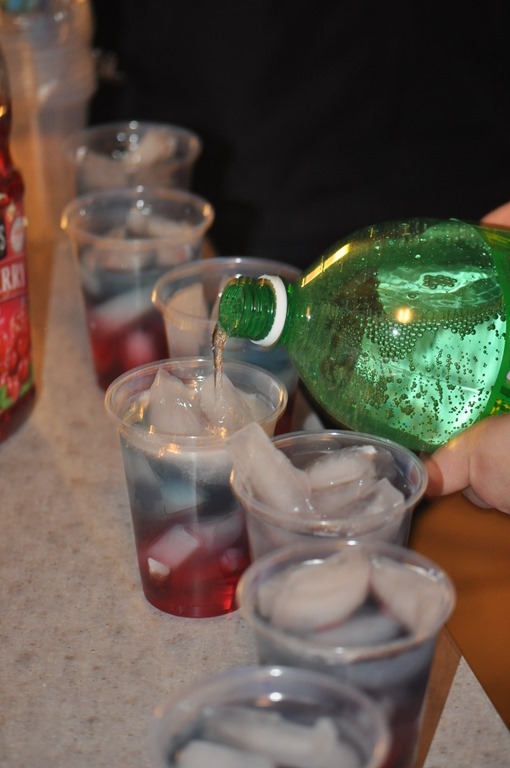 Just fill each glass with ice, pour in the cranberry juice, followed by the Gatorade and top with the Sprite. 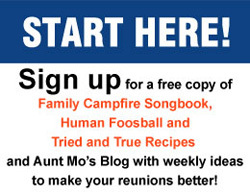 This would be perfect for your Independence Day party also. 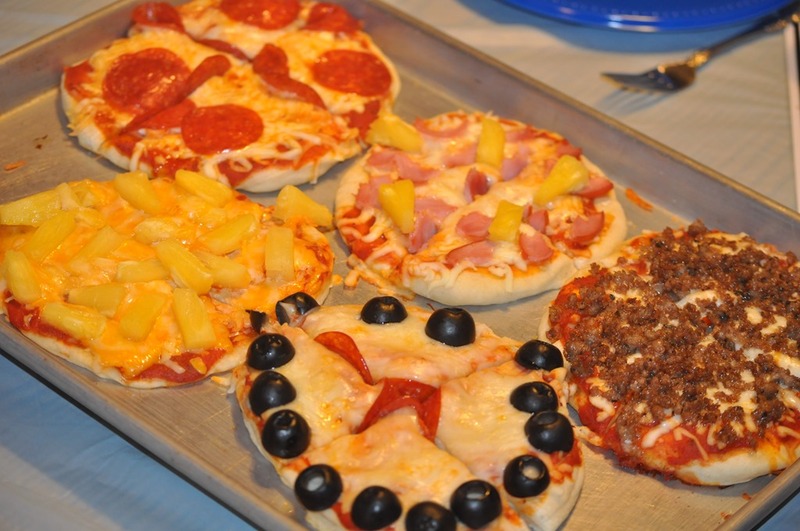 I’m kind of embarrassed to show this picture of our Olympic rings pizzas but like said, I didn’t give myself much time to throw this party together. If you have a large group you could just buy 5 pizzas and set them on your serving area in a “ring” arrangement. We only had 12 at our party and couldn’t really justify buying 5 pizzas so I made my own dough and made five mini pizzas. I also made a large pizza so I would have enough food to feed my family but this is what I put on the table. 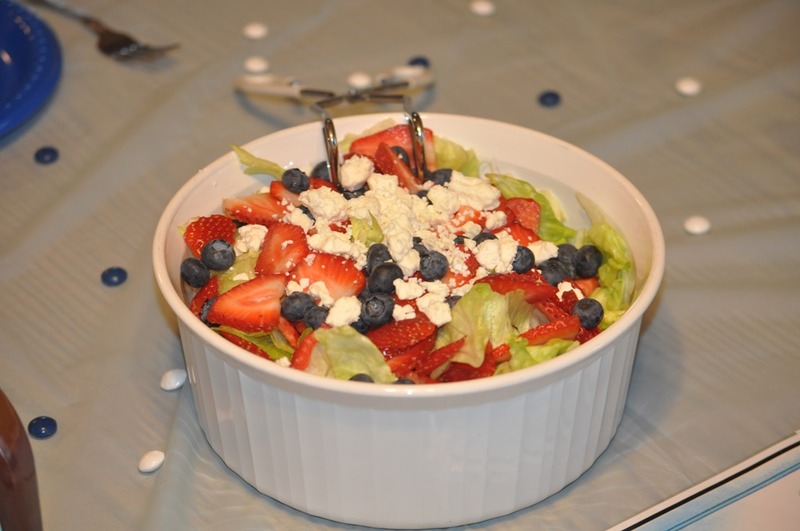 My daughter made red, white and blue salad using strawberries, blueberries and Feta cheese. She served it with a raspberry vinaigrette for the dressing. What’s the deal with all the red, white and blue you may ask- well, besides celebrating the Sochi Olympics we wanted to cheer on our own USA athletes and wish them luck. I decorated the table with my Olympic placemats, a light blue tablecloth, blue plates with white and blue candies sprinkled around. It really wasn’t too fancy but when my grand-daughter walked into the room and saw it she exclaimed, “Oh look, it’s a party!” She was so excited she danced with joy. 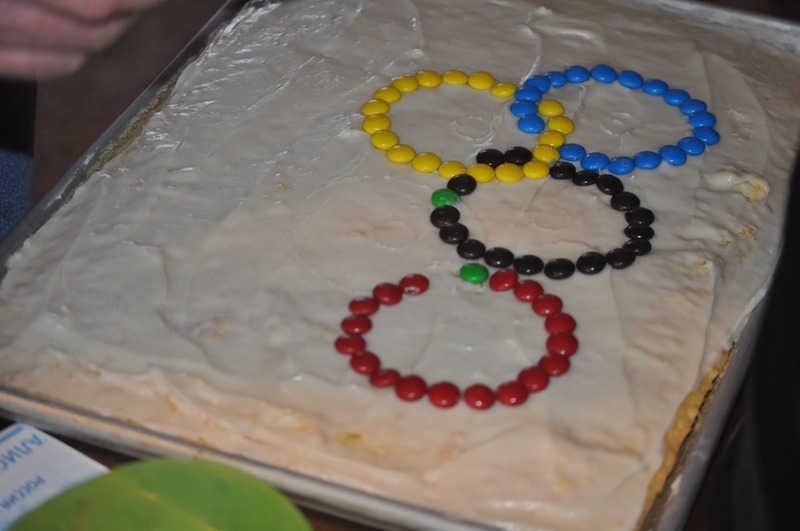 So glad I threw this Olympic party together!